Our partner company lat/lon GmbH was contracted for the the project GeoWebServer by Federal Agency for cartography and geodesy. For this project, Intevation developed installer-routines for MS Windows and for GNU/Linux. 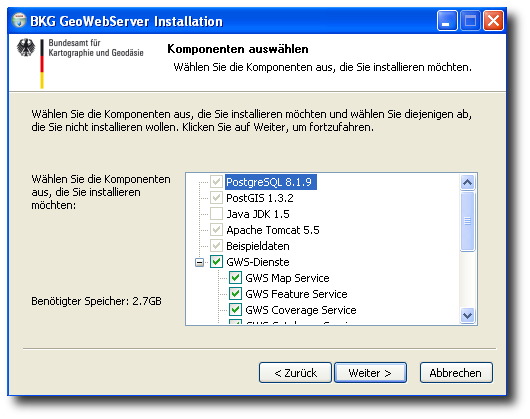 This installer assembles a complete and ready-to-use geodata-infrastructure (GDI) based on deegree-technology (WMS, WFS, WCS, CSW and OWSProxy) on the target systems. A main focus was put on the ease and the slickness of the installer-program, so that installations can be made with a minimum of knowledge about the actual technology. The task was to keep the barriers for users low and thus support a wider range of use.